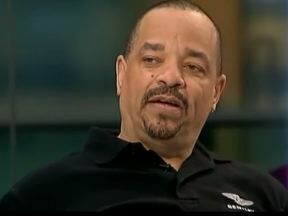 Ice-T Defends Gun Rights: "The Last Form Of Defense Against Tyranny"
Ice-T: Well, I'll give up my gun when everybody does. Doesn't that make sense? If there were guns here, would you want to be the only person without one? Ice-T: No. Nah. Not really really. You know what I'm saying, if somebody wants to kill people, you know, they don't need a gun to do it. On anti-gun laws: "That's not going to change anything. The United States is based on guns, you know."